Me by Meliá has announced its debut property in the Middle East with the launch of Me Dubai at the end of 2018. Designed by late architect, Zaha Hadid, Me Dubai is set to become a legacy hotel. It is the only hotel project where she personally designed all of the interiors and exteriors, showcasing her vision of ‘interconnectedness’. Hadid passed away in 2016. Me Dubai will take residence in the breath-taking, 95 metre-high, Opus building, which is the newest architectural icon in the Dubai skyline. Situated in the heart of the upcoming Burj Khalifa district in Downtown Dubai, The Opus building is managed by leading Middle East real estate developer, Omniyat. Me Dubai will consist of 93 rooms and suites, across 19 floors, the ultra-luxurious ‘Suite Me’, as well as 98 serviced apartments. 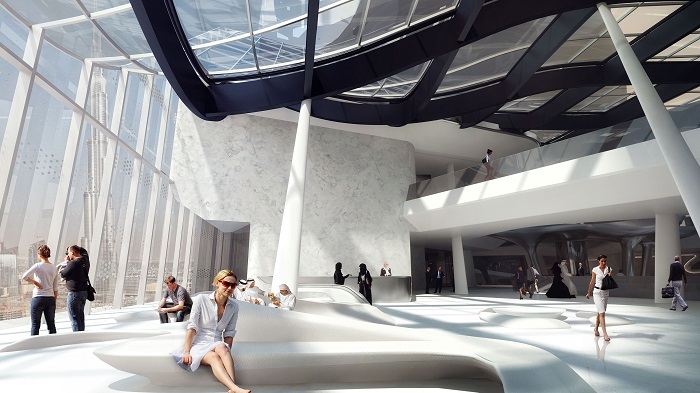 The property will feature dramatic, signature furniture in the lobby, vertical café, lounges and reception area, which were either designed or personally selected by Hadid. With awe-inspiring originality, Hadid’s design reinvents the balance between solid and void, opaque and transparent, interior and exterior. The Opus spans 250,000 sq ft, comprising of two separate towers that connect in the form of a cube but with a ‘carved’ central void where the centre of the building provides unexpected and dramatic views of the exterior. Gabriel Escarrer, chief executive, Meliá Hotels International, said: “We are incredibly excited to open Me Dubai, our first Me property in the Middle East.